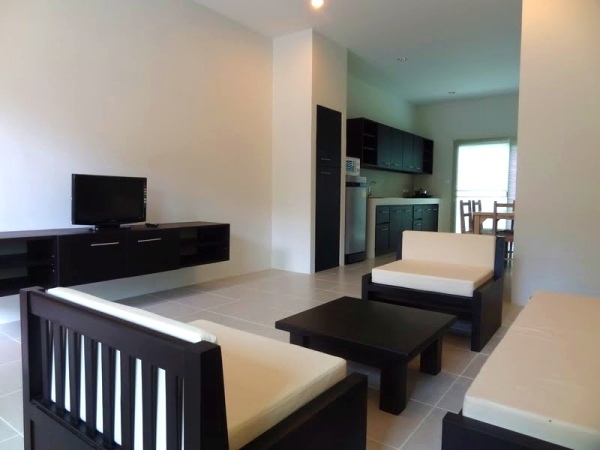 The two-bedroom apartments in Chalong are independently owned, and are located in a quiet area just north of Chalong. The building has recently been completed, and has been finished to a high standard. In this Thai neighborhood, you’ll be away from the tourists but yet within minutes of the best of Phuket’s dining, shopping, beaches and nightlife and anything else you want to do while staying in Phuket. The two-bedroom apartments in Chalong have a full-size pool right outside the front door. There’s also a pool available on the top floor of the block nearby which includes a sheltered sala; perfect for hosting parties while staying in your Phuket apartment. 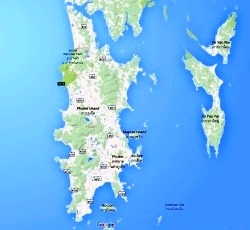 The rooftop has an excellent view of Phuket, with the Big Buddha topping the hills above. The well-appointed Chalong two-bedroom apartments are all fully furnished and ready for occupancy. 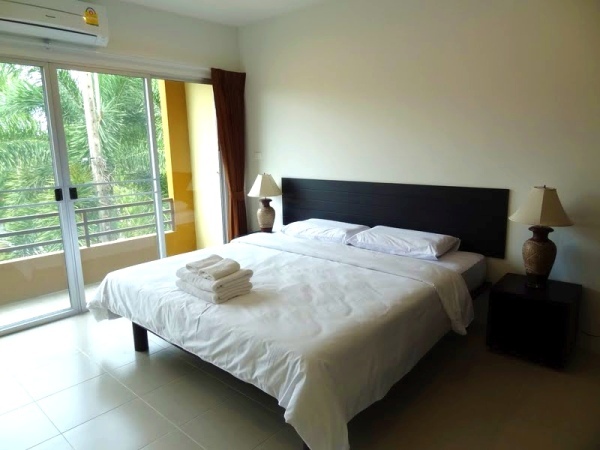 The two-bedroom apartments in Chalong are on two floors; the living room and kitchen on the ground floor, and the two good-sized bedrooms on the floor above. 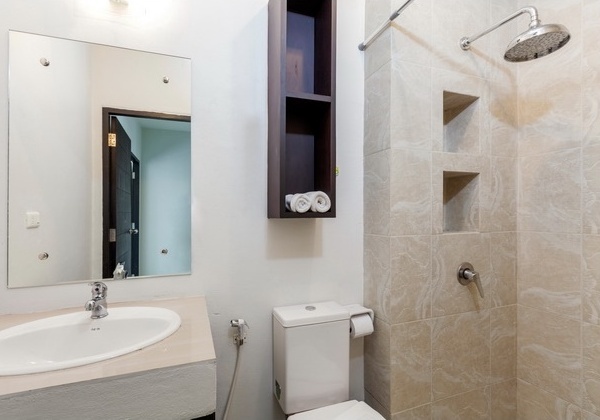 The Chalong two-bedroom apartments are air conditioned throughout, with modern ensuite bathrooms and a balcony. Internet is also included for all Chalong apartments. The apartments in Chalong provide fully-equipped kitchens with most of the things you’ll need during your stay. 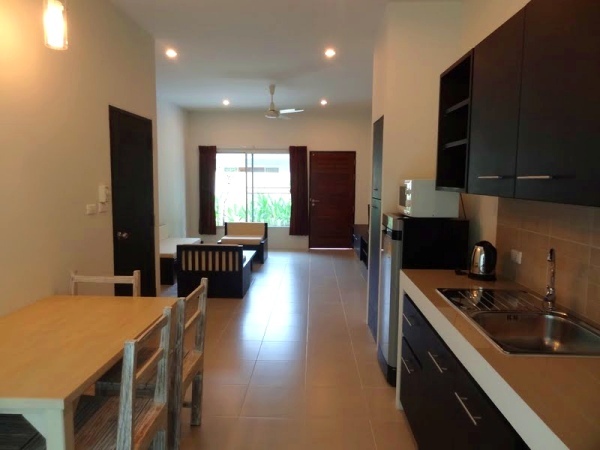 The Chalong two-bedroom apartments are close to Chalong’s amenities: Chalong Pier, Villa Market, HomePro Village, Tesco Lotus and plenty of restaurants and entertainment spots are all nearby, and Central Festival is only about ten to fifteen minutes away. 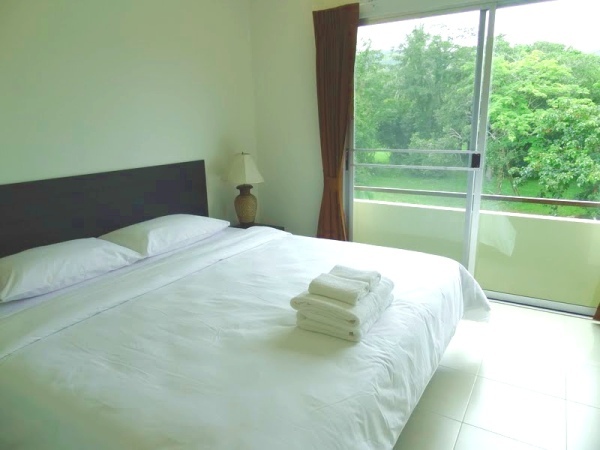 The two-bedroom apartments in Chalong are serviced, with laundry, bed linen and towel services available at modest charges. Security is addressed with electronic entry, along with CCTV cameras for all common areas. There is plenty ofparking for cars and motor cycles. Please note that the two-bedroom apartments in Chalong are no smoking. 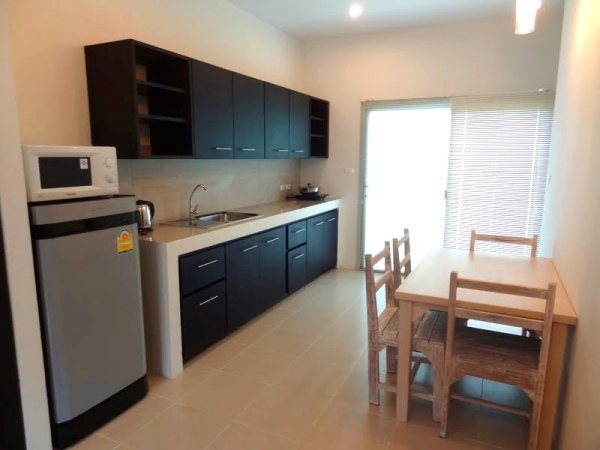 Scroll down for some pictures of the two-bedroom apartments in Chalong, or click the button above or at the bottom of the page for more information about Chalong.